At the maternity ward of Winneba government hospital, 50km west of Ghana's capital Accra, amid the cries of newborn babies lay Mercy Adosu, 35, her emaciated body covered only in a cloth on her recovery bed. Adosu had been referred to Ghana's largest hospital - Korle Bu Teaching Hospital - in Accra in December 2008 but instead of checking in there she turned to fasting and prayer at a prayer camp. "I went to the camp on the advice of a friend," she told IRIN. "I believed the pastor could save me from the unbearable pain I was suffering, but the more we prayed the more the pain became unbearable. When I could not take it anymore, my mother decided to bring me here. I knew I was going to die." Her mother and husband brought her to the hospital where staff donated six pints of blood to save her. Adosu's doctor, Dodi Abdallah, told IRIN that by the time Adosu arrived, her foetus had been dead for more than a week. And Adosu had further problems. "She had developed cancer of the ovary, her womb and bladder were hard, and the cancer had spread to her intestines and liver." He said her bleeding was difficult to control. Had she not, she would have been been added to Ghana's grim maternal mortality statistics whereby 560 women die for every 100,000 births according to the World Health Organization. Nurses at the Winneba government hospital say Adosu's choice of prayer over doctors is common in Winneba township. Ghanaian human rights activist Nana Oye Lithur told IRIN the scarcity of state medical doctors in some areas -- especially rural -- drives some women to turn to prayer camps. In Ghana there is only one nurse for every 1,500 people and one doctor per 17,700, according to the UN. In rural areas the ratio is even more stark, as 70 percent of Ghana's doctors work in Accra or Kumasi, the second-largest city. At one of several prayer camps in Winneba, IRIN was greeted by Maame Asi Oterba, 65, wearing tattered clothes, who runs the Twelve Apostles Church. Inside the modest wooden structure four pregnant women were asleep, exhausted after the morning prayer session, according to Oterba. "I pray for them morning, afternoon and evening and bathe them with holy water. But when they are due for delivery we also pray all night till the baby is delivered," she said. She charges each woman US$10 to $20 for the service. "Sometimes when the delivery gets over-complicated and the spirits can't help, we rush them to the hospital," she said. But families, afraid of hosptial fees, often stay away. 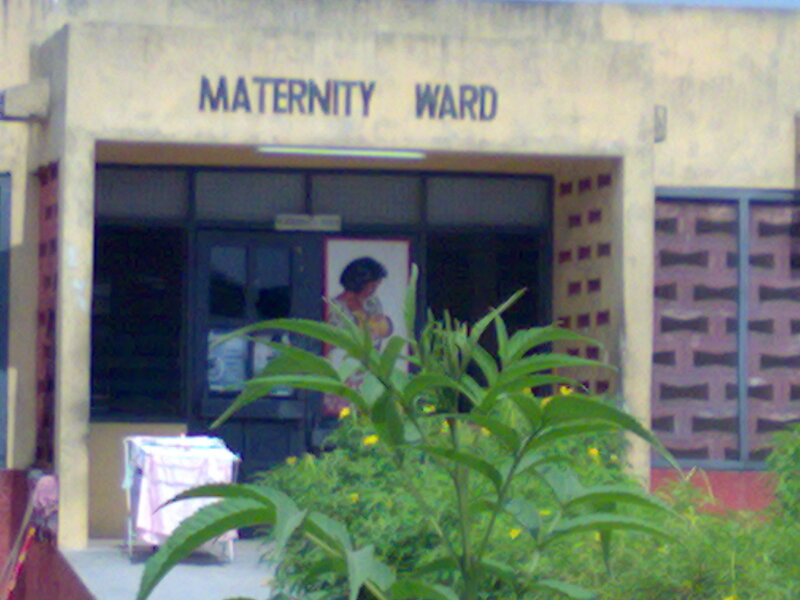 The Ghanaian government made maternal care free as of 2008, but many women are not aware of the new policy. But many say it is not simply financial or access constraints that have people turning to prayer camps. "In some rural areas there is the idea that pregnancy is a spiritual rather than a physical phenomenon, and thus if things go wrong, one must turn to God as a solution," senior GHS nursing officer at Winneba, Mariam Anaman, told IRIN. "Thus in this district, even where there is a hospital people will still choose prayer over going to [hospital]. It's not that the hospital can't provide good care." According to the Ghana Health Service (GHS) only 35 percent of all deliveries in the country are supervised by a qualified medical practitioner. The remaining 65 percent either deliver at home or seek traditional help. "It is not surprising that bleeding is the second leading cause of maternal mortality," Elias Sory, GHS director general, told IRIN. The GHS has set up a task force to increase the percentage of deliveries supervised by qualified health professionals to 70 percent, which is roughly in line with the Millennium Development Goal to reduce maternal mortality rates by three-quarters. Sory says reaching the MDG will be possible only as knowledge of the new health policy of free maternal care spreads. With more and more women turning to prayer over medical care, Lithur said the MDG is unlikely to be reached. Lithur criticised the government and the police for doing little to close down the prayer camps. But it is not simply a question of shutting down camps. GHS director general Sory told IRIN the government had worked with the police in the past to close the prayer camps but failed because of “entrenched beliefs" in the community. At the Twelve Apostles church, new mother 24-year-old Sarah Quayson told IRIN she would not be lured by free maternal care to abandon her beliefs. Clutching her baby to her chest she said she was compelled to come to prayer after her brother cursed her. "My brother claimed I had insulted him so he cursed me," she said. "I was pregnant for a year. The hospital could not help me, but when I came here I delivered." The GHS has now embarked on a training programme for spiritual leaders to become traditional birth attendants. But nurse Anaman told IRIN the spiritual leaders are refusing to come. "Our trainings have stalled for two months now. We are not seeing the sea change we anticipated." She added: “People are simply resisting the change."